Like Monty Don, I have no horticultural qualifications, so please dont ask. What I do have is passion, enthusiasm and 25 years experience of gardening. I have learnt through watching others, including my father in the early days of our allotment, reading countless numbers of books, and mainly through my own experiences, successes and failures. Over the last 8 years as a jobbing gardener, I have developed, constructed and maintained a large array of gardens (including my own) with differing aspects, soil type, shading, elevation, exposure, drainage conditions, formal, informal, wild, edible, etc. Some gardens I have taken on and developed, adding to their beauty and practicality. Others I have started from scratch from areas rife with builders rubble and/or full of pernicious weeds. Whatever the starting point, my priority has always been to firstly get the soil right, increase biodiversity, provide low maintenance and of course make the garden attractive and appealing. I believe I have been successful in achieving these goals in many gardens. 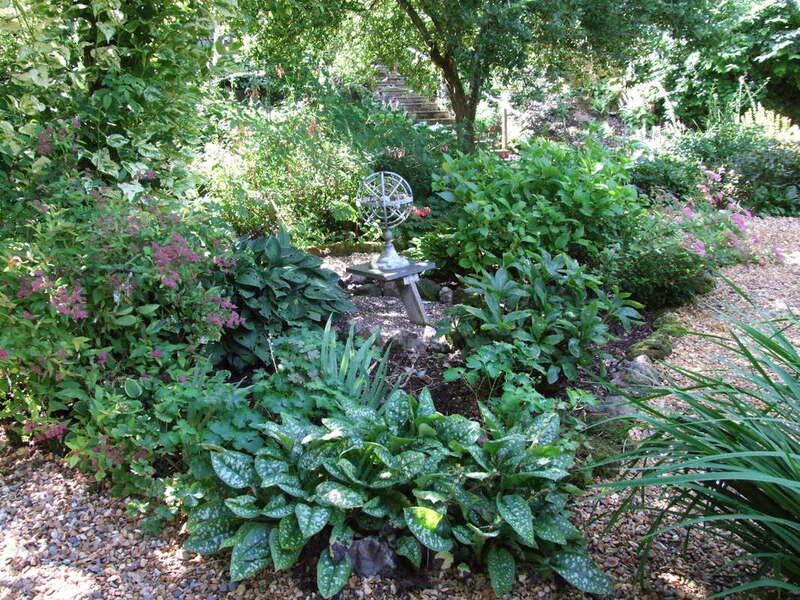 This garden was taken on as a design, develop and maintenance project. 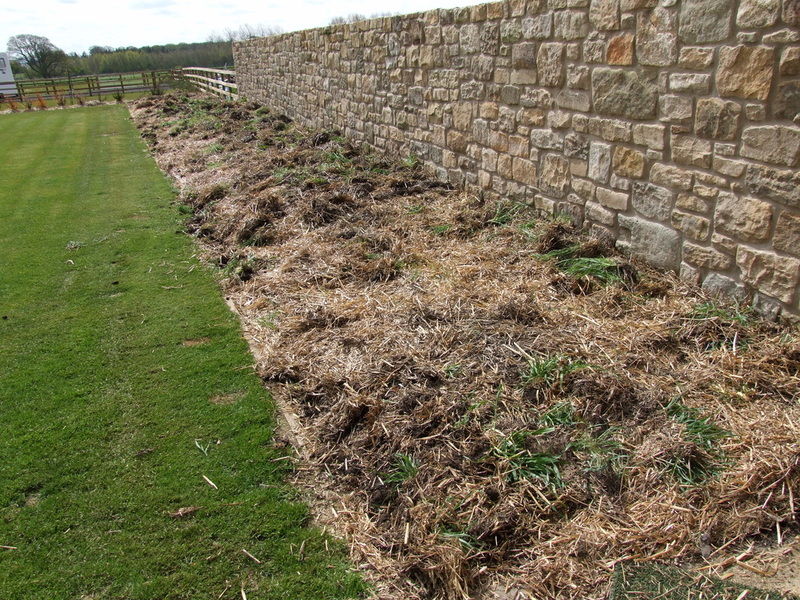 The long border was constructed and mulched with barley straw to eradicate the weeds present in the clay type soil. The straw was applied in the autumn and lifted in the following May for planting. The greenery in the straw is barley which has sprouted from seed left in the straw. It is easily removed. An array of robust perennials, shrubs and wildflowers make an attractive border from spring through to late autumn. The plants selected did not require any staking. Maintenance relatively low with hoeing every other week and cut back in late winter. 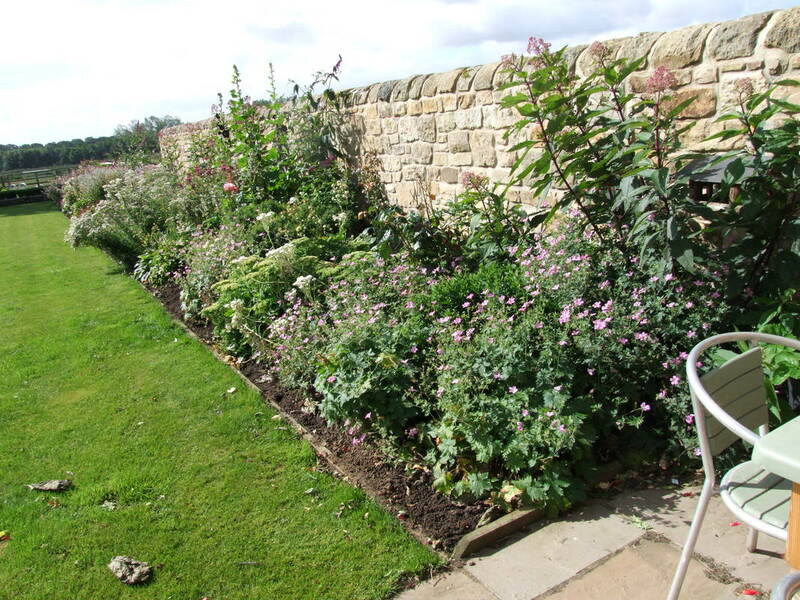 This garden was undertaken as a maintenance project to be maintained added to and developed.